A history of bad credit may lead to issues when seeking to sign up with a new electricity provider, however for consumers who have credit-related problems there are alternative options available and a number of steps that can be taken. An energy retailer may request credit information when you apply to become a customer, and for consumers concerned about potential issues, it is worthwhile consulting a retailer’s terms and conditions before applying, determining what the requirements will be. As advised via the Office of the Privacy Commissioner website, credit isn’t just about borrowing money, with services provided before payment, such as the services provided by electricity retailers, also comprising a form of credit. 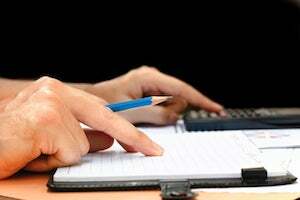 Bad credit records can, of course, occur for any number of reasons, and consumers who find themselves in this situation should familiarise themselves with how the system works. Your credit record contains a range of information, assisting credit providers in determining whether to provide credit, and it may well be worthwhile checking your record prior to signing up with a retailer, especially if you have concerns. It is advised via the Govt.nz website that there are three credit reporting companies in New Zealand – Centrix, Dun & Bradstreet and Equifax – with anyone seeking to check their credit record needing to contact all of them. Govt.nz advises that information about repayment history can be kept on a credit record for up to two years, while unpaid debt where the lender tried to recover the money owed can appear on a credit record for up to five years, even if already paid off in full. So, if you do have credit problems, what are your energy options? 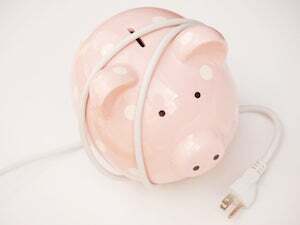 Consumers who have encountered credit issues when seeking to sign up with an electricity provider may want to consider opening a prepaid electricity account, which will require upfront payment for power services. As opposed to a credit model account – where customers typically make a payment at the end of a billing period – these sorts of services employ a pay-as-you-go model. Prepay energy provider Globug, a retail brand of Mercury, is one such retailer that provides for customers to join with no contracts, no bonds and no credit checks. “Globug allows you to pay for electricity as you go, so you’ll find it much easier to manage your electricity spend and keep on top of payments,” Globug states of its service. Globug customers can manage their account and view their balance online via the Globug website or app, can arrange for balance alert notifications to be sent via email or text message, and are able to top-up their account via the Globug website or app, and in-store at Globug top-up locations. Wise Pre-Pay Energy is another electricity retailer providing consumers with a pay-as-you-go service, with no credit check, deposit or fixed contact required. Describing itself as “a self-service energy provider”, Wise states that customers are able to “use the service without any hassle at any time of the day that suits them”. Wise states that it uses smart meter data to keep “customers updated with their energy usage, with regular notifications when they need to top-up their account”. Customers can track their power usage and monitor their account balance by logging into their account via Wise’s website or app, and can top-up via the website and app, via internet banking and in-store at participating merchants. 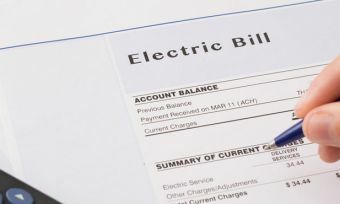 Consumers with a bad credit history will likely face additional challenges when seeking to sign up with an electricity retailer, however it is possible to improve your credit record over time and potentially pave the way for further options in the future. While negative information can be displayed in a credit record, it is important to note that positive information can also be included. As advised by the Privacy Commissioner, repayment history information “can help credit providers to sort between individuals based upon how well they manage their credit obligations”. “Customers who have a good track record of meeting their repayments on time may be recognised as being at lower risk of default, which could improve their chances of being approved for further credit or being offered better credit terms,” the Privacy Commissioner states. Keep in mind that being proactive with your credit obligations in the short term could deliver benefits in the longer term. Of course, the best way to avoid potential credit issues is to effectively manage your payments, and for consumers who are having problems paying their electricity bills it may be worthwhile considering different payment methods. For instance, if the upfront total of your electricity bill is throwing your budget out, many retailers offer alternative payment options, providing for customers to make smaller, cumulative payments, rather than a single payment all at once. Retailers may allow for customers to set up automatic payments, arranging for fixed weekly, fortnightly or monthly payments to be made, and may also offer their own customised services, providing for bill payments to be made over a period of time. Genesis Energy’s Control-a-bill service, for instance, sees a customer’s annual energy usage divided up and the payments spread out evenly over 12 months, with customers able to choose to pay either weekly, fortnightly or monthly by direct debit, with Genesis reviewing the arrangement at least once every 12 months, or sooner if it appears payments are not covering usage. Meridian Energy’s LevelPay service provides for customers to even out their power bill over the course of the year, with customers sent a bill each month, paying a set amount each week, fortnight or month by direct debit, with Meridian reviewing a customer’s account every six months to make sure payments are covering usage. Consumers should consider all of their options when it comes to bill payment, and should get in touch with their retailer if they have any concerns with regard to their ability to make payment.